Audiolab adds new streamer and power amplifier to 8300 Series | What Hi-Fi? Audiolab is expanding its 8300 Series with two more components. 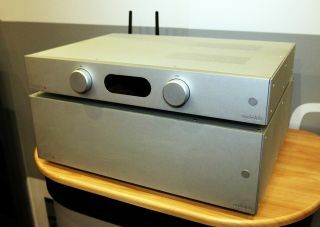 The Audiolab 8300N is a wireless network player, while the 8300XP is a power amplifier. Both are made with the minimalist style of existing 8300 Series products, and use similar circuitry too. The 8300N is due Summer 2016; the 8300XP is due Spring 2016. Prices are yet to be announced. Again, pricing is still to be confirmed, but you can expect the M-One to go on sale around Spring this year.